But not just any beer. Nay. 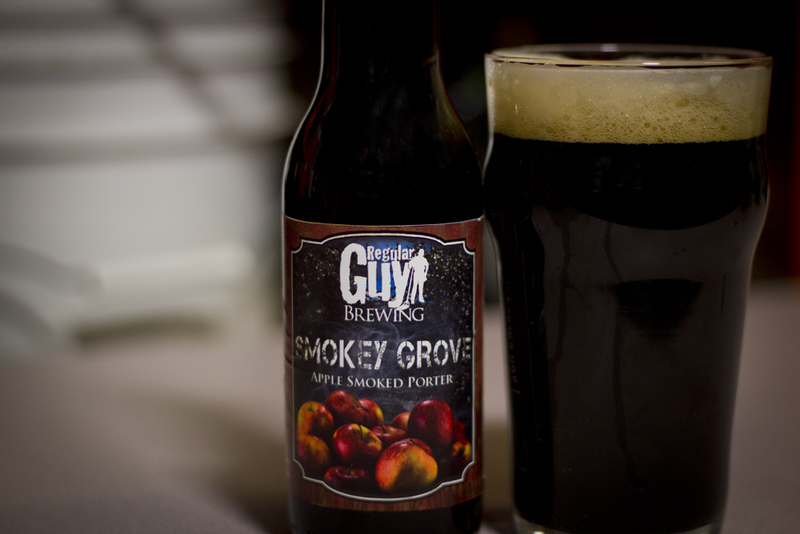 We brewed our Smokey Grove Apple Smoked Porter! 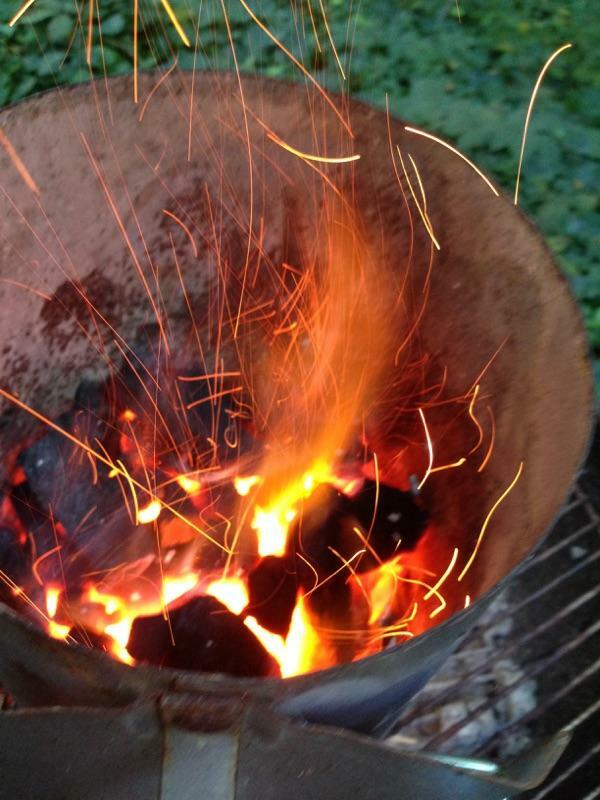 The beer that screams Fall, that calls for campfires and hoodies, the quintessential cooler weather beer! We love this beer and get really excited every time we brew it. This beer will also be on tap at the Breese Fall Festival on October 10th. That’s good news for anyone who hasn’t tried it, come on out, give it a go. You won’t be disappointed. I’ve got a number of pictures to share, so let’s not dilly dally and get right to it, shall we? 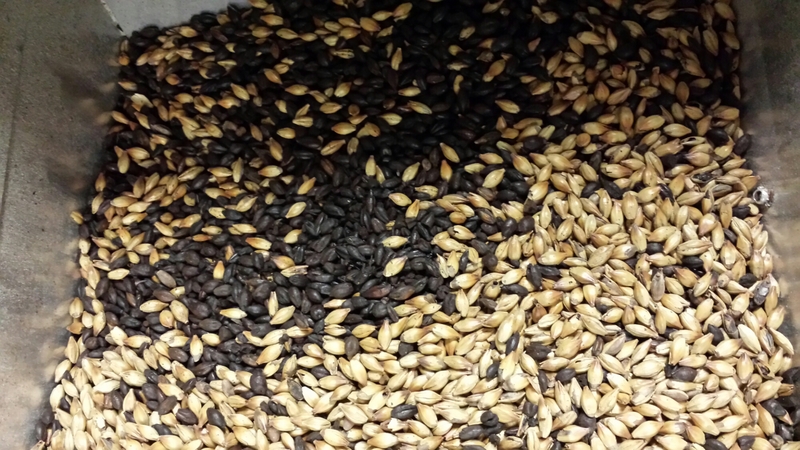 Let’s step back a few days prior to brew day and show you how Seth prepped the grain. Seth carefully smokes a portion of the base malt. 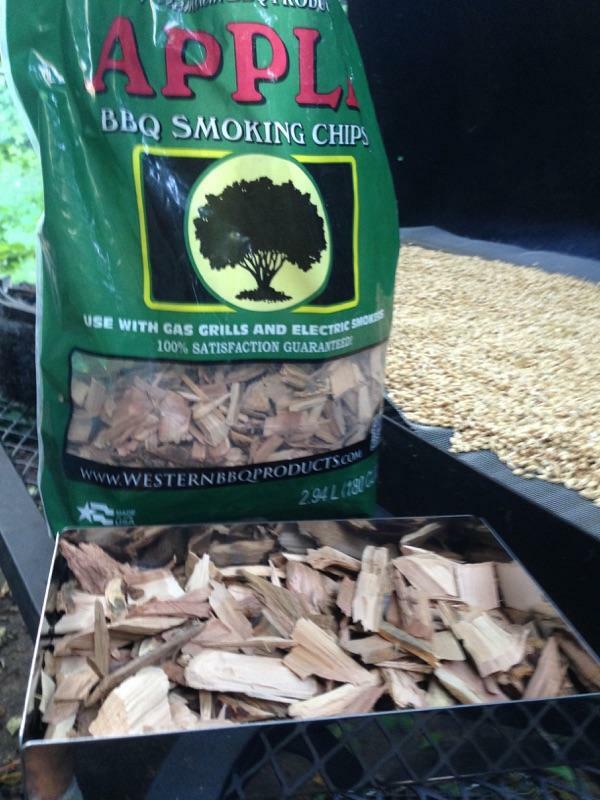 The smoked grain is added to the other grains and crushed. 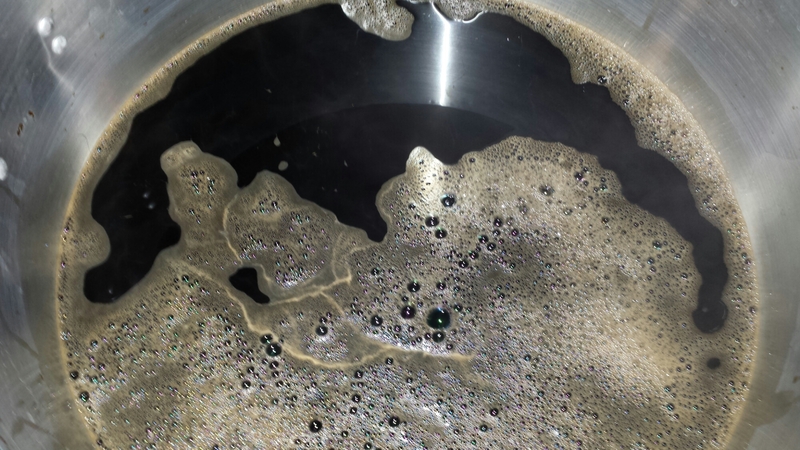 Here is the first runnings in the kettle. 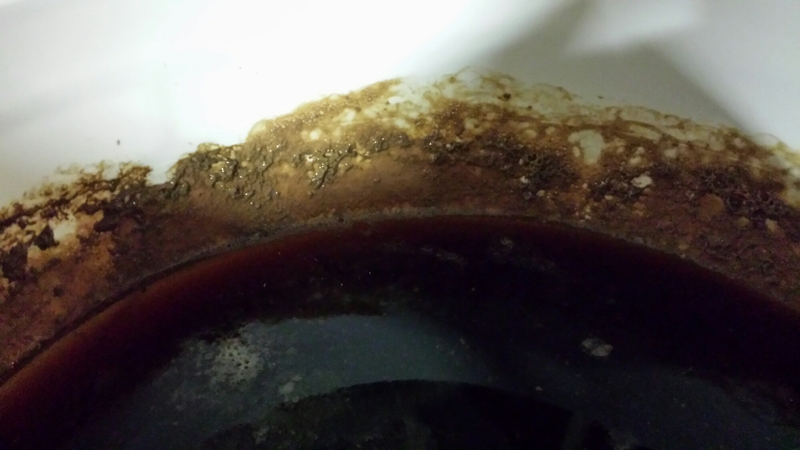 This is the wort ready to be boiled. 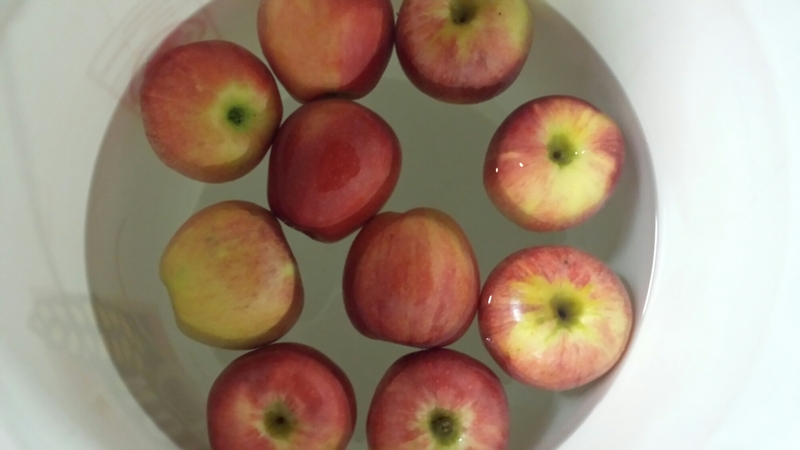 Then we bobbed for apples. Kidding. 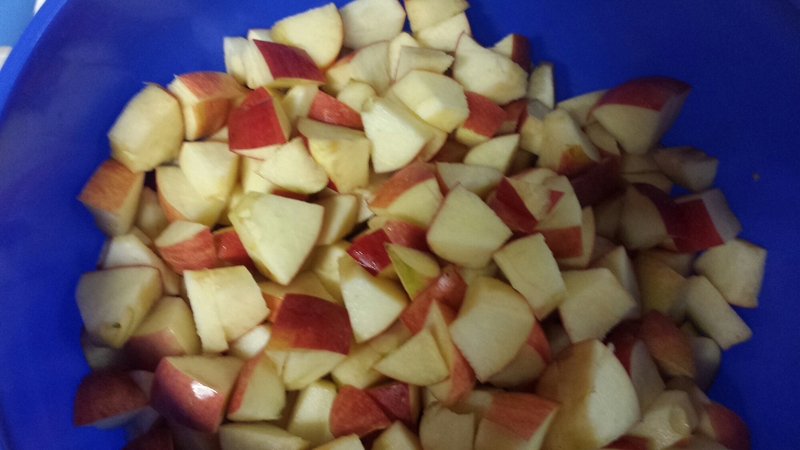 We washed the apples and chopped them up to add to the boil. 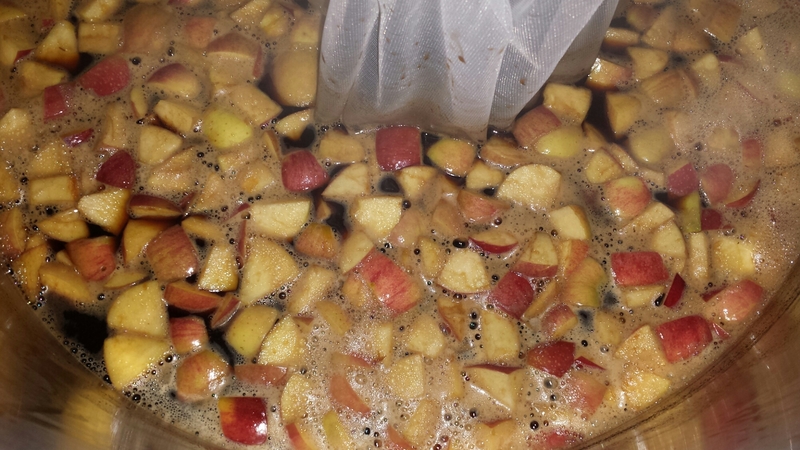 Here’s the apples swimming around in that beautiful black wort! The aroma coming out of the kettle was amazing! 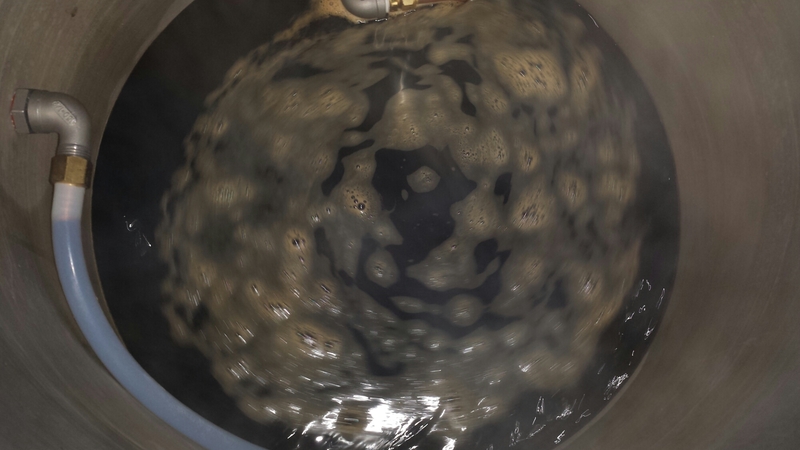 And here’s the Smokey Grove filling the fermentation buckets. Gorgeous brew my friends. 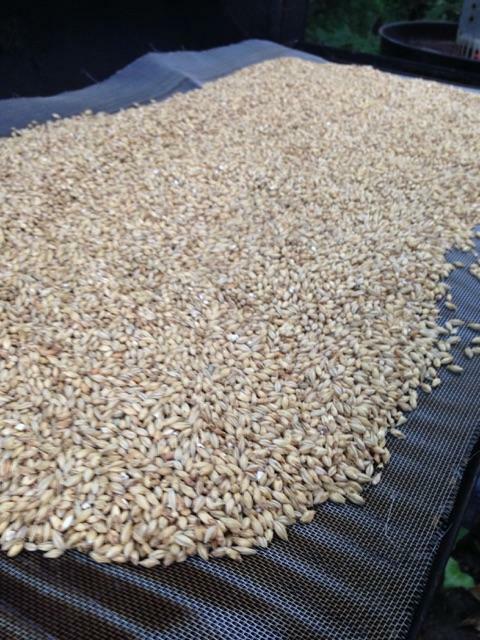 Our mash efficiency hit 85% and our brewhouse efficiency hit 72.5%! 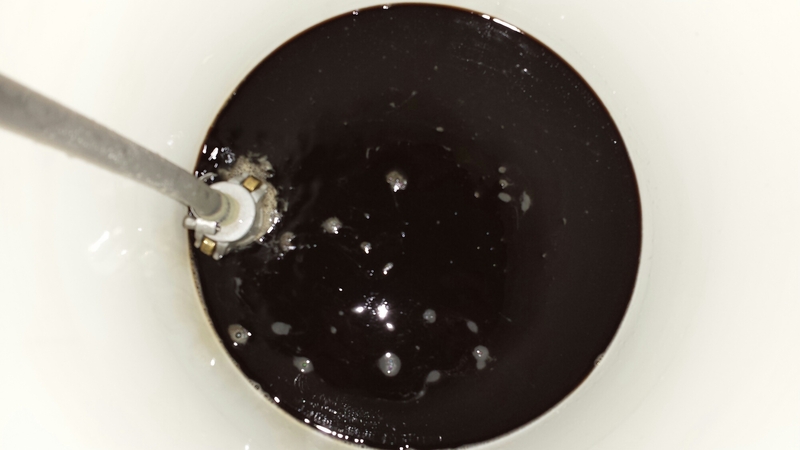 We also transferred our Red Rye IPA to secondary, I’ve got a couple of pictures of that too. Fermentation went well, ready to transfer! 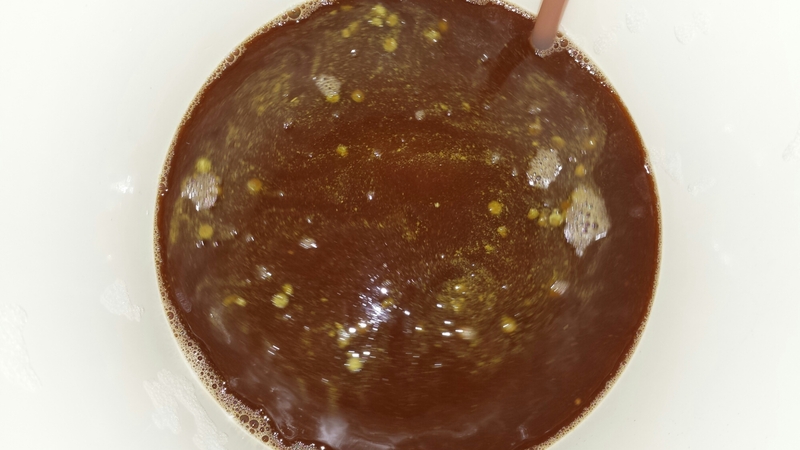 Racking the Red Rye IPA on top of Amarillo Gold hops. Another week and she’ll be ready for the keg! Well, that’s it friends, we had a very busy and productive Friday night! This Friday we are brewing our Hot Blonde Jalapeño Blonde Ale.